Foxhole Technology Supports STEM — Foxhole Technology, Inc. This year Foxhole Technology donated $1,600 to PIE3, a 501(c)(3) non-profit organization that provides programs to help students pursue careers in Science, Technology, Engineering, and Mathematics (STEM). Donations to PIE3 are used to support a workspace for the students to safely build their projects, pay registration costs, purchase materials, and pay other expenses related to robotics. One of the robotics teams is known as the Robo Lions, and consists of 13 high school students. 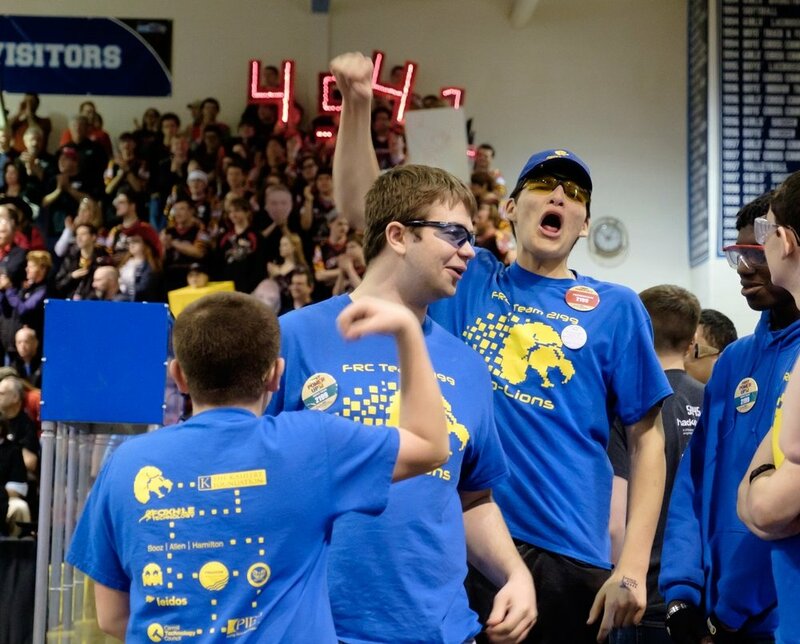 This team has competed multiple times, wearing our Foxhole corporate logo on their t-shirts, robot, and "pit" signage. This past weekend, the Robo Lions entered the Chesapeake District Championship at Xfinity center where they placed 24/60.